Blue Light Therapy: What is It? While red light therapy is gaining wide recognition for its medical and cosmetic uses, blue light therapy remains far less well-known. Yet many have heard of its uses, especially in conditions involving pathogenic bacteria. Acne sufferers in particular may be curious and wonder: what is blue light therapy? Blue light therapy is the use of light in the blue wavelength ranges to cause an effect in the body. By far its most popular use is to kill bacteria. Even in low doses it’s a powerful tool for killing bacteria. In a 2009 study published in Photomedicine and Laser Surgery, blue light therapy was proven effective for killing the antibiotic-resistant staph infection, MRSA. After only 100 seconds- or a little over one and half minutes- of exposure to blue light, 30% of MRSA laboratory cultures died. After 16-17 minutes, 80% of MRSA was killed. Blue light therapy in conjunction with a photosensitizing agent, such as methylene blue, has proven itself even better at killing bacteria. This study showed that the combination, delivered into the root canal of a tooth with bacterial biofilm (which is notoriously difficult to eradicate) destroyed both Gram-positive and Gram-negative bacteria. It even disrupted the bacterial biofilm. The implications of this discovery are that blue light therapy can be used to greatly reduce the number of dangerous bacteria. Especially for conditions like acne, acne rosacea and cystic acne, and for infections, it could represent a helpful adjunct treatment. Please note, we are not suggesting you forgo medical advice for any of these conditions. What we are saying is that you should speak with your doctor about using blue light therapy in addition to the standard treatments he or she recommends. Interestingly enough, blue light has other known uses. For instance, it is believed that it is the blue portion of the light spectrum that is most active in light therapy treatments for Seasonal affective disorder. Blue light therapy (or the absence of blue light) can be used to regulate circadian rhythm. 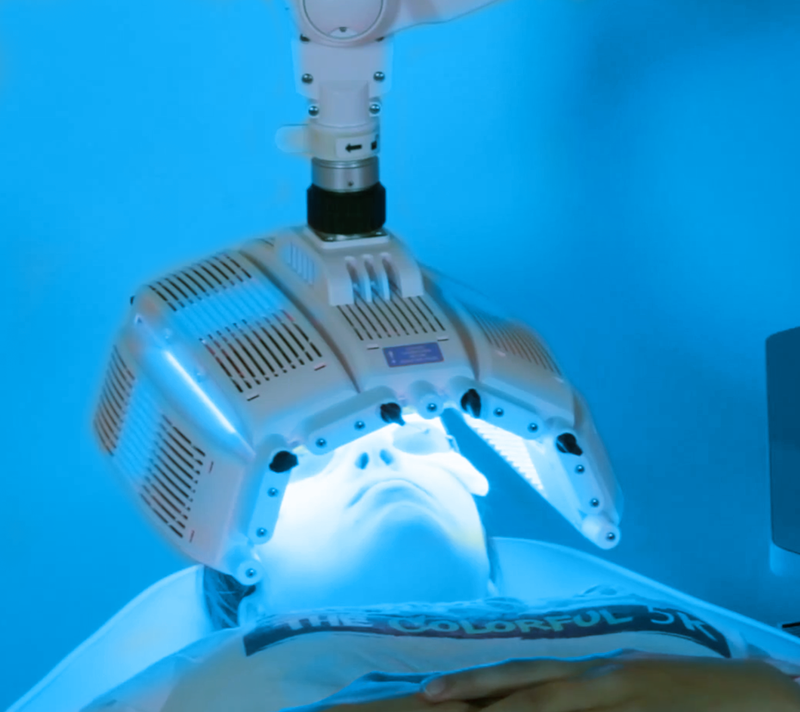 Specialized blue light can be used to speed up teeth whitening as well. Perhaps time will tell us what other uses for blue light exist. While it hasn’t been definitively proven, there are some experts who suspect that excess blue light is not good for the eyes. To be on the safe side, be sure to wear appropriate eye protection during blue light therapy. This entry was posted in Blue Light Therapy and tagged blue light kill bacteria, blue light therapy, blue light therapy for acne, what does blue light therapy do, what is blue light therapy, what is blue light therapy good for, what is blue light therapy used for by Bambi. Bookmark the permalink.